Use the Miscanthus in a boiler! Once harvested, the Miscanthus can be ensiled in different ways depending on how you intend to use it. For its use in industrial boilers, two options are available, including silage in fine as well as in long strands. For silage in long strands (300-400 kg/m3 in density), the Miscanthus bales (20 cm long) must be broken into pieces before being used in an industrial boiler. As for silage in fine strands (for a density of 120-130 kg/m3), i.e. 2 cm stems, they can be used directly without prior treatment. This plant can also be used in a multi-fuel boiler. With the latter, you will be able to better heat your home while saving money thanks to its highly advantageous cost. As the price of firewood keeps increasing, the Miscanthus perfectly finds its place in your homes. You can either completely replace the wood or you can enhance it with this grass which offers interesting benefits. In order to make the transition to this plant, you will need a multi-fuel heater. There now exist several types on the market, which are all compatible with this grass. Choosing this herb becomes obvious when you assess the various features it embodies. For example, its calorific value is estimated at 16 megajoules per kilogram. Combined with an excellent yield, this grass has made a name for itself among consumers. Heating is definitely one of the most interesting outlets of this plant. 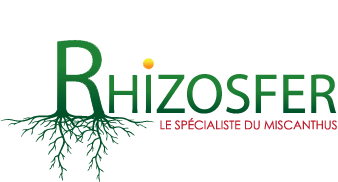 We, at Rhizosfer, are interested in the various uses of this plant. We get involved with our customers to find the right market, such as heating, which will ensure the profitability of their harvest.